7 – Appropriate Technology – One Billion Hungry: Can We Feed the World? 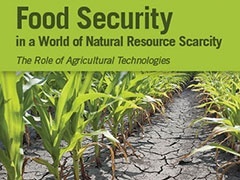 Three new publications investigate proposed solutions to global food insecurity, exploring the potential consequences of liberalising trade, increasing crop yields and introducing biotechnology. 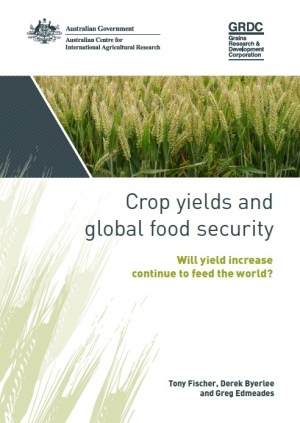 The first, written by agricultural scientists Tony Fisher, Derek Byerlee and Greg Edmeades, Crop Yields and Global Food Security, investigates the rate at which crop yields must increase if we are to meet global demand for staple crops by 2050. They explore how such targets might be achieved and what the consequences would be for the environment and natural resources. Population growth, rising incomes per capita and growing biofuel usage mean we expect demand for staple crop products to increase by 60% between 2010 and 2050. This increase can either be met by expanding land area under agriculture or by increasing the yields of crops grown on current land. With land being in short supply and much potential agricultural land requiring deforestation and natural habitat clearance, the latter option has far more support. Indeed crop area is expected to grow only 10% between 2010 and 2050, with some of this increase originating from increased cropping intensity. To date yields of wheat, rice and soybean have been steadily rising over the past 20 years. The rate of growth, however has been declining and wheat yields are increasing at approximately 1% each year compared to 2010 figures (1.5% for maize). Crop models tell us that if we are to meet future demand and keep food prices at less than 30% higher than the low prices of 2000-2006 then yields of staple crops must rise by 1.1% each year. Of course these figures do not take into account the other resource challenges agriculture faces, climate change or tackling hunger and thus authors suggest a higher rate of increase of 1.3% per annum. The book explains key concepts in crop physiology and yield, for example, a term often used when discussing agriculture in developing countries, “closing the yield gap”. The yield gap is effectively the difference between the yields obtained on a farm (Farm Yield or FY) and the yields obtained under field trial conditions (Potential Yield or PY). For wheat, although the book also explores other staple crops, the yield gap is on average around 48% of the FY. This varies by location with developing countries (and crops produced under rainfed conditions) showing a larger gap and Western Europe showing the smallest gap, some 30%. Progress towards closing this gap is worryingly slow, occurring at a global average rate of just 0.2% per year, and in Western Europe may actually be increasing. Yield gaps are difficult to close and on average closing a yield gap by 10% of FY takes some 20 years. Here authors highlight the difficulty of increasing Farm Yields through technology adoption and improved agronomic practices, and the importance of increasing PY to stimulate Farm Yield gains, likely through improved varieties. At Agriculture for Impact we talk a lot about resilience and in particular how farms and rural economies can become more resilient to shocks and stresses like climate change, pests and diseases and food price fluctuations. 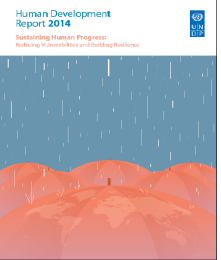 In the new UNDP Human Development Report 2014 released recently, the concept of resilience in terms of individuals, communities and of global political systems is explored. As the report states, “resilience is about ensuring that state, community and global institutions work to empower and protect people”. In particular the report highlights the precariousness with which we view advances in human development, improvements in peoples’ welfare and the state of the environment and global governance. Corruption, environmental and humanitarian crises, crime, changing leadership, negligence of key sectors such as health and civil unrest can all spell disaster for progress made in tackling poverty, malnutrition, food insecurity, environmental degradation and poor health. As the report states achievements in human development should not only be measured in terms of the gains made but in how secure these gains are or how likely they are to be lost when under pressure. Key then for this report is exploring the vulnerability of current progress and of future human development being sustained. The report also emphasises how human vulnerability, in this case taken as the erosion of people’s capabilities and choices, prevents human development. Vulnerability appears to be on the increase due to continued environmental degradation, climate change and instability in financial systems. Perhaps this is contributing to the rate of progress in human development falling significantly since 2008. Globalisation increases connectivity around the world which can increase resilience but also introduce vulnerability across broader areas. If one system faces collapse its interconnectedness puts other systems at risk while national abilities to address shocks and stresses become more tied to global rules. A global system seeking to build resilience, however, can be supportive of actions at a local scale. In Africa over 200 million people are aged between 15 and 24, the youngest population in the world. This age group according to the African Economic Outlooks is expected to double in number by 2045. Low profitability, poor security of land tenure, and high risks are just some of the reasons Africa’s youth are leaving rural areas to seek jobs in cities, a migration that could see Africa with a shortage of farmers in the future. Given that agriculture is one of the continent’s biggest economic sectors, generating broad economic development and providing much of the population with food, this poses a serious threat to the future of farming and to meeting the demands of a rapidly growing urban population. Growing youth unemployment, ageing farmers and declining crop yields under traditional farming systems mean engaging youth in agriculture should be a priority. 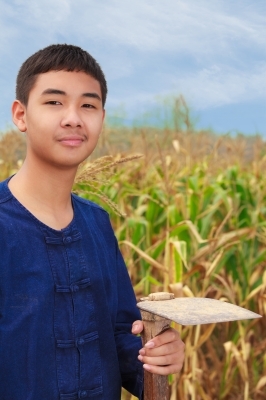 Recent articles highlight this key challenge and suggest solutions for making agriculture more attractive to younger generations. The rise of social media and its attraction among young people with access to the appropriate technologies could be a route into agriculture if the two could be linked in some way. Mobile phone use in Africa is growing rapidly and people are now much more connected to sources of information and each other. Utilising these channels to promote agriculture and educate young people could go a long way in engaging new groups of people into the sector. Farming is rarely portrayed in the media as a young person’s game and can be seen as outdated, unprofitable and hard work. Greater awareness of the benefits of agriculture as a career needs to be built amongst young people, in particular opportunities for greater market engagement, innovation and farming as a business. The media, ICT and social media can all be used to help better agriculture’s image across a broad audience and allow for sharing of information and experiences between young people and young farmers. 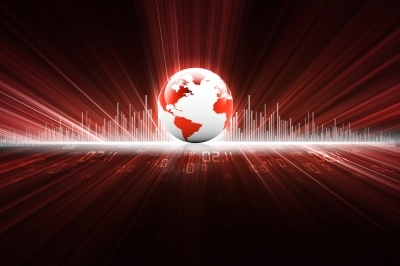 Big data: big hope or big risk? Hailed as the latest technological advance that could revolutionise development and agriculture (along with other sectors), “big data” has been the focus of several recent articles, most notably a series of articles published by SciDev.Net. In June 2013 a UN High level panel called for a “data revolution” emphasising the need for better data to track progress towards development goals. But what is big data and how can it aid poverty and hunger eradication? Big data is not just large amounts of information but rather it’s about integrating infrastructure to collect data at every step of the development process and designing new data collection methods that can track development goals effectively. In particular, big data is being hailed as the big fix for the lack of reliable official statistics in developing countries. But there is no clear (agreed upon) definition of big data, one article stating “it is data generated through our increasing use of digital devices and web-supported tools and platforms in our daily lives”. Due to our increasingly digital society, the amount of data (from social media platforms, mobile phones, online financial services etc.) has grown enormously. A much quoted statistic states that up to 90% of the world’s data was created over just two years (2010–2012). The aim for big data is to use this sizeable knowledge source to add value to society. Driving interest in evidence-based policy making, big data is also being termed a movement, one that aims to turn data into decision making. In May 2012 Global Pulse published a White Paper entitled Big Data for Development: Opportunities & Challenges, which highlighted the opportunities big data provides. In particular they explore the role of big data in describing what is happening, predicting what may happen and explore the reasons behind why things happen. Solutions to the world’s food insecurity and environmental problems are numerous. Some suggest it is the not the lack of a solution that hampers progress in addressing hunger, climate change and natural resource scarcity but rather the difficulty in choosing the most appropriate solution. Global crop land was divided into cells, and data on physical characteristics such as soil, elevation and weather were combined with management information on crops grown and techniques used. Each of the innovations were assessed in terms of their impacts on agricultural yields, food prices, trade, hunger risk, natural resource use and land use at global, regional and local scales. Using multiple technologies amplified the effects: food prices for maize were 49% lower, for wheat 45% lower and for rice 43% lower, leading to a reduction in the number of malnourished children by 12% and of the number of people at risk of hunger by 40%. In the increasingly digital world in which we live, information can still be hard to come by for many. An international NGO, Access Agriculture, established by NGOs Agro-Insight and Countrywise Communications in 2012 is working to close global agricultural knowledge gaps. Although only around 15.6% of the African population, according to 2012 figures, has access to the internet, the telecommunications market in Africa is one of the fastest growing in the world. Mobile phone subscribers have increased 18% each year for the past five years and, while coverage is only at around a third of the population, the rapid increase in mobile phone use is motivating telecommunications companies to develop Broadband Wireless Access technologies to connect more people to the internet. And this could be beneficial to farmers, connecting them with various information sources from around the world. Access Agriculture is a platform for agricultural R&D staff, service providers, extension agents, communication professionals and representatives of farmer organisations, which provides agricultural training videos in local languages. Their aim being to make knowledge on sustainable agriculture accessible to people in developing countries. Training videos are available across a wide range of topics from cereals to livestock to mechanisation to integrated pest management. From conservation agriculture and agroforestry to conflict resolution and input buying. To check out some of the videos on offer click here. Access Agriculture is also in the process of developing Agtube (think YouTube for agriculture) where people can upload their own videos to share with the agricultural community. Set to be launched soon, Agtube, through increasing two way dialogue between agricultural actors, may provide opportunities for innovation through collaboration. We also hope we will learn more about the challenges developing country farmers face and the solutions they have developed. Online sustainable agricultural training is also provided by the Rainforest Alliance.